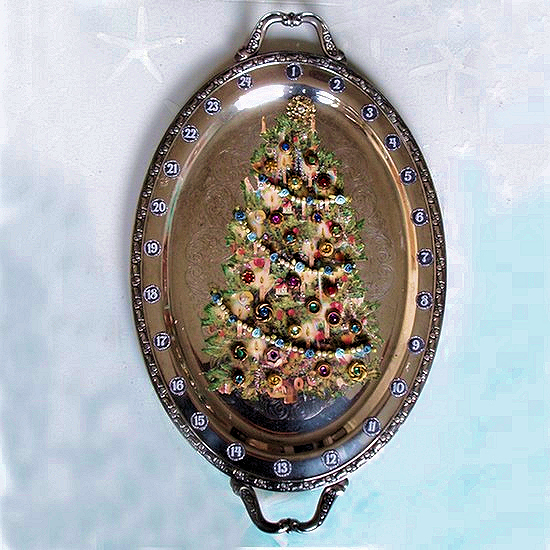 This is a good way to repurpose a silver plate tray and turn it into Christmas décor that you can use year after year. This has to be one of the most elegant countdown calendars I have ever seen. If you like it too then pop on over to the link sent in to the blog Whimziville where you can find the tutorial and free downloads to make this silver plate Christmas countdown calendar.